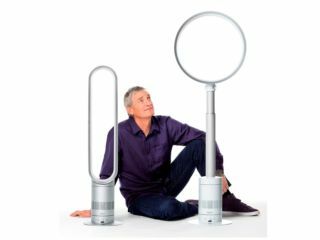 James Dyson, founder of the iconic UK technology brand, has hinted that Dyson would be interested in adding a mobile phone to its range. Speaking to journalists, with TechRadar in attendance, at a London event, Dyson claimed that the idea of a Dyson phone was possible in the future. "We would consider making mobile phones, but only if we had a technology that was really interesting," he said. Dyson also added that the company wouldn't be worried about fitting into the price constraints other smarpthone vendors work to, as shown by the more costly designs the brand has created for other technology categories. "A lot of people design to a price. I don't do that. I'm not afraid of putting in things that cost more if I think they make a product better." Whether this would translate to a phone that could entice consumers to part with more cash for an alternative technology remains to be seen – but if Apple can do it, then a Dyson VacuumBladePhone would surely have a chance of succeeding too, right?